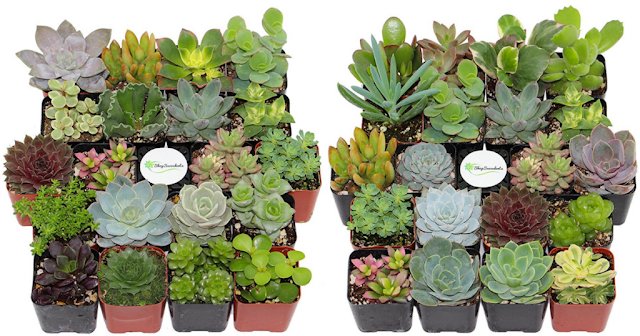 Today, July 23rd only, Amazon.com is offering up this Shop Succulents Unique Succulent 20-Plant Collection for only $27.99 shipped (Retail $39.99). That's like paying just $1.40 per plant! Each plant is different and is mailed in a two-inch pot with soil. All succulents are drought tolerant plants that are easy to care for and require very little attention. I LOVE using these plants for crafts with the kids!